1. A Chinese brand, MEIZU has been making phones for over a decade, but it entered India in 2015. The firm is known to make good-looking devices that are priced competitively. 2. MEIZU currently has 28 operational service centres in India. MEIZU smartphone users can contact customer care via the hotline number 1800 3070 9925, or send an e-mail to csindia@meizu.com to get their devices repaired. The Meizu E2 64GB is a great buy. It has all the elements which one looks forward to get according to the recent trends. The cameras capture amazing shots. Performance-wise, the handset delivers superb experience while gaming and running heavy apps. The only downer is the hybrid SIM slot, which means you will need to remove one SIM in order to use a microSD card, but with 64GB internal storage, that is hardly a problem. 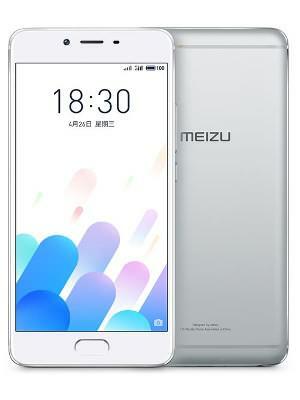 The Meizu E2 64GB comes with a 5.5-inch IPS LCD Full HD (1,080 x 1,920 pixels) display and runs on Android v6.0 (Marshmallow) operating system. Inside the phone, there is a 2.3GHz octa-core Cortex A53 processor aided by 4GB of RAM. The smartphone features a metallic body and is embedded with a front fingerprint sensor. A 13MP main camera and an 8MP selfie shooter are stacked in the handset for photography/ videography needs. Networking options include dual-SIM, 4G (supports Indian bands), 3G, 2G, VoLTE, Wi-Fi 802.11, a/b/g/n/n 5GHz, Mobile Hotspot, Bluetooth v4.2, GPS with A-GPS, GLONASS and microUSB 2.0. An internal storage of 64GB is available for saving files. The user can also make use of microSD card slot (up to 128GB) for more storage. The handset draws its energy from a 3,400mAh li-ion battery which supports fast charging.